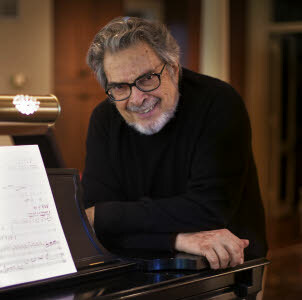 String Theory at the Hunter, in partnership with Lee University, announce its 10th anniversary season, featuring six world-class concerts, beginning this month with pianist Leon Fleisher. 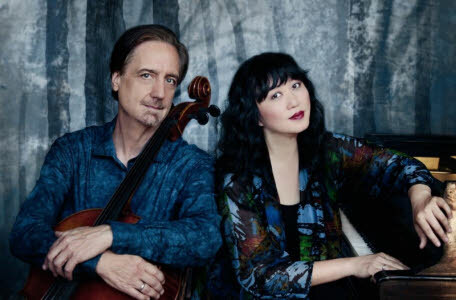 Founded in 2009 by pianist and Artistic Director Gloria Chien, String Theory brings acclaimed chamber musicians from around the world to perform in the intimate setting of the Hunter Museum of American Art. Mr. Fleisher will open the String Theory season on Tuesday, Sept. 11, performing works by Bach, Kirchner, and Brahms. 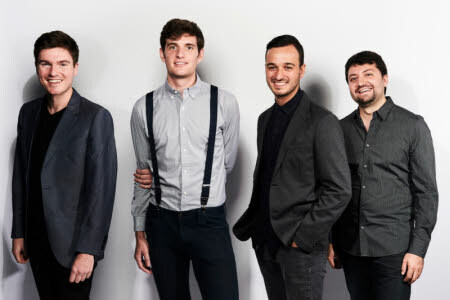 The concert will begin at 6:30 p.m. at the Hunter Museum, with a pre-concert champagne reception hosted by Barnett and Company at 5:30 p.m. in the museum lobby. In 1965, Mr. Fleisher developed focal dystonia, a debilitating condition that causes the fingers to curl inward, in his right hand. In response, Mr. Fleisher mastered the piano repertoire for left hand and began a career in conducting. He also renewed his dedication to teaching at the Peabody Institute of the Johns Hopkins University, where he now holds the Andrew W. Mellon Chair. Mr. Fleisher regained use of his right hand in the mid-90s, and in 2003, he formed a duo with his wife, pianist Katherine Jacobson, giving concerts world-wide and recording for Sony Classical. One year later, he released an album, titled “Two Hands,” which topped Billboard charts in 2004. Mr. Fleisher was the first American to win the prestigious Queen Elisabeth of Belgium Competition in Brussels in 1952. He also received the honor of Commander in the Order of Arts and Letters by the Minister of Culture of the French government in 2006 and the Kennedy Center Honors in 2007. 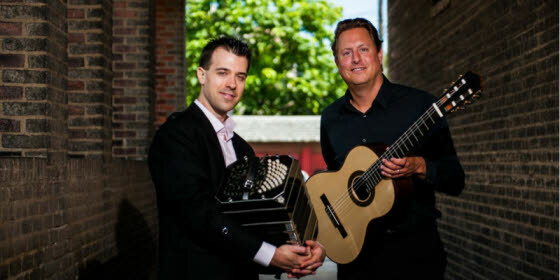 Heralded as “the next accordion star” by Howard Reich of the Chicago Tribune, Mr. Labro has established himself as one of the foremost accordion and bandoneón players in both the classical and jazz genres. Deemed to be “a triple threat: brilliant technician, poetic melodist, and cunning arranger,” he continues to astonish audiences worldwide. On Jan. 26, 2019, String Theory will celebrate its 10th anniversary with a Gala Celebration to be held at the Chattanooga Golf and Country Club. An “unforgettable evening of musical feast and hors d’oeuvres and dessert reception,” the Gala will feature performances by Emerson String Quartet, violinist Soovin Kim, and Dr. Chien, piano. 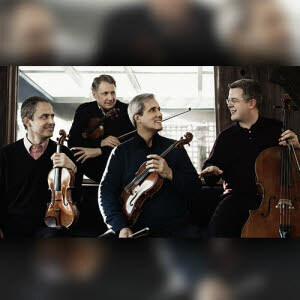 The Emerson String Quartet has amassed an unparalleled list of achievements over four decades: more than 30 acclaimed recordings, nine Grammys (including two for Best Classical Album), three Gramophone Awards, the Avery Fisher Prize, Musical America’s “Ensemble of the Year” and collaborations with many renowned artists. Internationally renowned violinist Mr. Kim founded the Lake Champlain Chamber Music Festival (LCCMF) in Burlington, Vermont, which has quickly gained national attention for excellence in performance, innovative programming, educational outreach, and work with young composers and performers. Mr. Kim has released nine commercial CD recordings and he continues to perform and teach music across the United States. Dr. Chien collaborates with renowned artists, participates in many festivals, performs both collaborations and solo recitals all over the world, while directing String Theory for residents of the Chattanooga area every year. She also joined Mr. Kim this year as co-artistic director for the LCCMF. 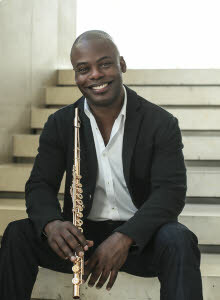 On March 5, 2019, String Theory will welcome clarinetist Anthony McGill, accompanied by Dr. Chien. Considered among the top solo, chamber, and orchestral musicians today, Mr. McGill is now in his second season as principal clarinet of the New York Philharmonic, having previously been principal clarinet of the Metropolitan Opera Orchestra and associate principal of the Cincinnati Symphony. He is on the faculties of The Juilliard School, Peabody Conservatory, Manhattan School of Music, and Bard College Conservatory. On Apr. 23, 2019, String Theory will welcome the return of artistic advisors David Finckel and Wu Han. This concert and the 10th season will end with a performance of Stravinsky’s Rite of Spring, arranged for Piano four hands, performed by Dr. Chien and Ms. Han. Among the most esteemed and influential classical musicians in the world today, Mr. Finckel and Ms. Han are recipients of Musical America’s Musicians of the Year Award, one of the highest honors granted by the music industry. As concert performers, recording artists, educators, artistic administrators, and cultural entrepreneurs, their duo performances have garnered superlatives from the press, public, and presenters alike. For more information on String Theory at the Hunter or to purchase tickets, call 414-2525 or visit www.stringtheorymusic.org.